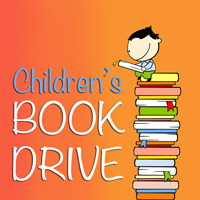 The 16th annual Webster Works Worldwide Children's Book Drive will begin on Friday, Sept. 30. New and "gently used" books for children from infants to teens will be collected and donated to schools and other agencies serving low-income families. Since the project began, 15,393 books have been donated by Webster students, faculty and staff. Many children and teens have limited access to quality children’s literature. If you have books that you or your children have outgrown consider donating them so they can be enjoyed again. No kids’ books in your house? Please consider checking out Goodwill or a garage sale where you can often get several children’s books for $1. Look for the golden collection boxes all over campus. And help a child to discover a great book. Questions? Contact Kate Northcott (northcot@webster.edu).